Next DLC is something Im really looking forward to, The Thieves Guild! It will be launched march 7 with tons of new content and a new location. I am preparing Polly Ester for this and the other day she got company on a stealing raid with guildie Sir Tumba, the sneaky cat. 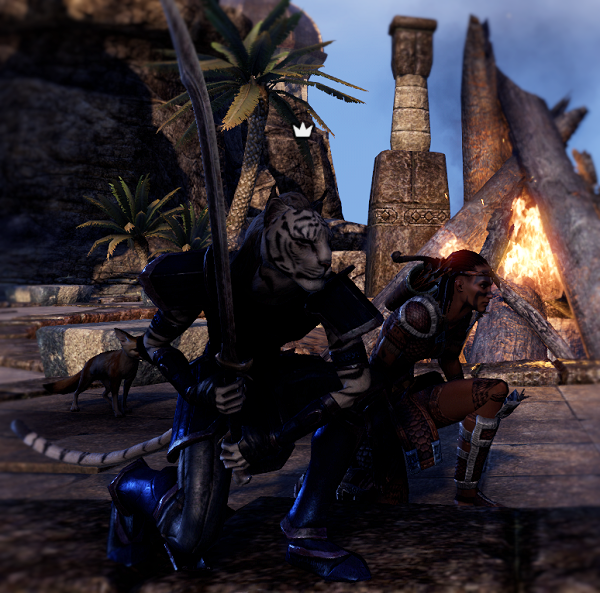 This entry was posted in Elderscrolls Online and tagged DLC, rogue, thief, update, youtube. Bookmark the permalink.